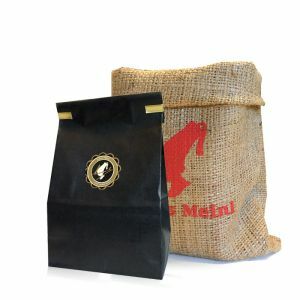 Julius Meinl Atelier Collection coffees from leading coffee plantations are the finest coffees we offer. When choosing an Atelier Collection hand crafted coffee, you can receive the coffee as green (not roasted) or as roasted coffee. If you choose roasted coffee, each coffee will be freshly roasted. The watchful eye of the roast master oversees and monitors the roasting process.